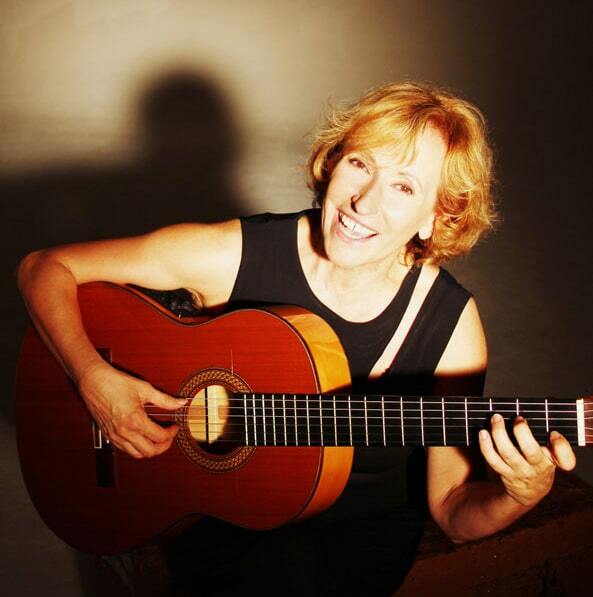 Currently the most active and worldwide well-known Italian folk singer, Lucilla Galeazzi’s career as a soloist or included in projects by other famous artists keeps her constantly on tour all over the world. After many years with Giovanna Marini’s Vocal Quartet and Christina Pluhar’s L’Arpeggiata, she keeps on singing and touring with her own musical projects, spreading worldwide the Italian oral tradition of popular music. Lucilla Galeazzi was born in Terni, a small inustrial town in Umbria. Starting as a pop singer, soon she approached popular music after a fortunate encounter with Umbria anthropologist Valentino Paparelli and with oral historian Alessandro Portelli, both already engaged in ethnomusicological research in Umbria and central Italy. In 1977 she meets Giovanna Marini and joins her Vocal Quartet, knowing a consequent international success. In 1986 she meets Roberto de Simone and takes part in his great show “Stabat Mater” performed at the Opera Theater in Naples and on tour in New York and the USA. In 1987 she founds the musical trio Il Trillo, with Ambrogio Sparagna, barrel organ, and Carlo Rizzo, tambourines. With this trio she goes beyond the mere re-statement of musical oral tradition. Lucilla has performed on the big opera stages in Naples, Berlin, Hamburg and New York and worked with many stars of the international folk scene such as Elena Ledda from Sardinia, Maria del Mar Bonnet from Mallorca, Portuguese Fado singer Teresa Salgueiro, Argentinian Mercedes Sosa and Rai singer Cheb Khaled from Algeria. Together with the French jazz musicians Michel Godard und Vincent Courtois she founded the critically acclaimed Trio Rouge, and for many years she toured around the world as a member of Christina Pluhar’s Baroque ensemble L’Arpeggiata. She is one of the voices of Bella Ciao, the Italian all star project around organetto maestro Riccardo Tesi, which 50 yeras later restages the historical partisans’ and workers’ songs of the Italian Folk revival of the sixties and seventies. Recently Lucilla has also started to present her own productions: In 2014, she writes and promotes two major theatrical-musical shows dedicated to the First World War: Doppio Fronte. Oratorio per la Grande Guerra, with renowned Italian actor and performer Moni Ovadia, and Il fronte delle donne. In 2016 she writes and plays the show La nave a Vapore, devoted to the history of the great Italian migratory movements.